Keeper Tom Heaton added to his England call-up by being named Burnley players’ player of the season on Monday. While George Boyd took the fans’ accolade, Heaton was the choice within the dressing room, after a campaign in which he kept 10 clean sheets, and earned his first senior international recognition. Heaton ended the season with three-successive shut outs against Hull City, Stoke City and Astion Villa, but the Clarets ended the season five points adrift of safety in 19th place. 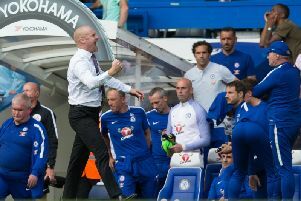 The 29-year-old, however, is confident the framework put in place by manager Sean Dyche over the last two and a half years will put the side in good stead as they mount a challenge to return to the Premier League. Ahead of joining up with Roy Hodgson’s squad for the friendly against the Republic of Ireland and Euro 2016 qualifier in Slovenia, said: “We’re disappointed to go down, especially considering how close we went. “But we can certainly take some positives into next season and gain some momentum. “We’ve not been cut adrift and been poor – We feel like we’re building something special and that goes into starting again next year.